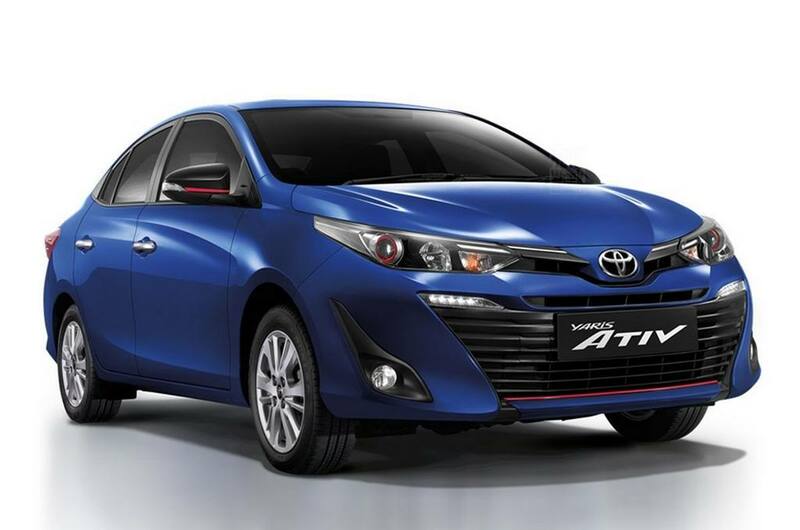 The highly promising Toyota Yaris ATIV sedan has been revealed in Thailand ahead of its market entry. It is positioned between the India-bound Toyota Vios sedan and Toyota Yaris premium hatchback and will lock horns with rival like Suzuki Ciaz, Honda City and Nissan Sunny. This sedan takes design inspiration from very popular Toyota Corolla. 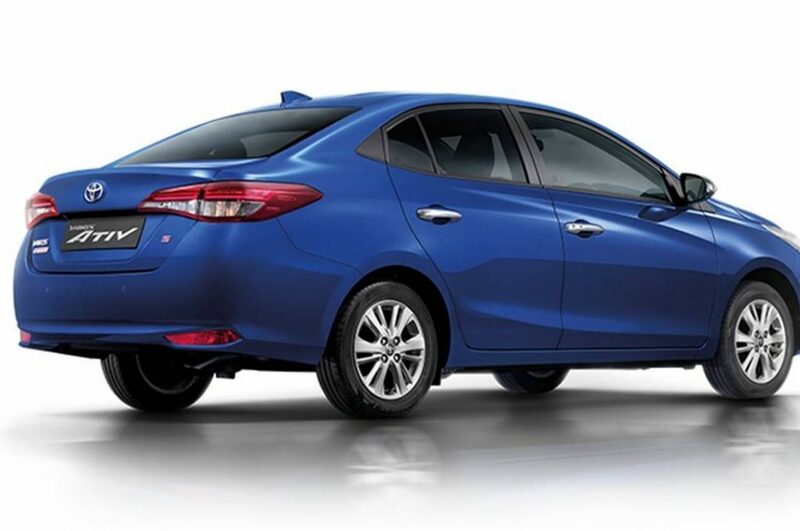 The front fascia and the rear profile bear clear similarity to the Corolla. Up front, the Toyota Yaris ATIV gets sleek headlamps connected by shiny chrome trim. There are horizontal LED daytime running lights at both sides of the large front grille that has been designed following Toyota’s other contemporary cars. The black radiator grille sports horizontal slats and there is a sleek red trim as well, just like the Toyota Camry ESport. Apart from that, there are vertically positioned fog lamp housings at both ends of the front bumper with round shaped fog lamps. The side profile of this sedan boasts sleek and sharp character lines, alloy wheels, chrome finished door handles and a nicely curved roofline as well. The car comes underpinned by the same platform as the Yaris premium hatchback. Moving to the rear profile, the Toyota Yaris ATIV gets sharp wraparound taillights and a chunky bumper is there as well. The rear windshield comes with a nice sloping appearance and blends perfectly to the boot lid and on top there is a shark fin antenna increasing the visual appeal further. 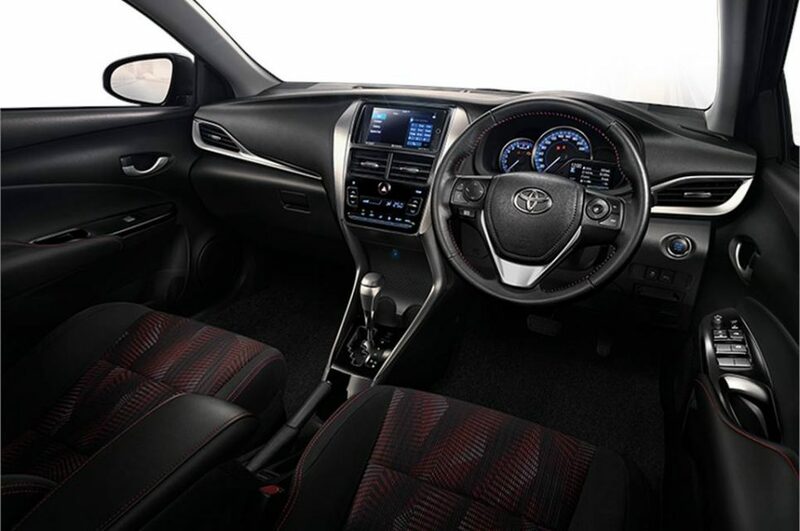 The interior gets several upmarket features and the car is loaded with safety features like seven airbags, ABS, EBD, brake assist, VSC with HAC. On the powertrain front, the Toyota Yaris ATIV draws energy from a 1.2-litre 3NR FE dual VVT-I petrol engine shared with its hatchback sibling. This engine is capable of churning out 86 PS of peak power at 6,000 rpm and 108 Nm of peak torque at 4,000 rpm. Ford transmission duty this sedan relies on a CVT that ensures hassle free driving and impressive fuel efficiency.